Don’t you just love it when seriously delicious and fairly rare fruits appear on the shelves of your stores? 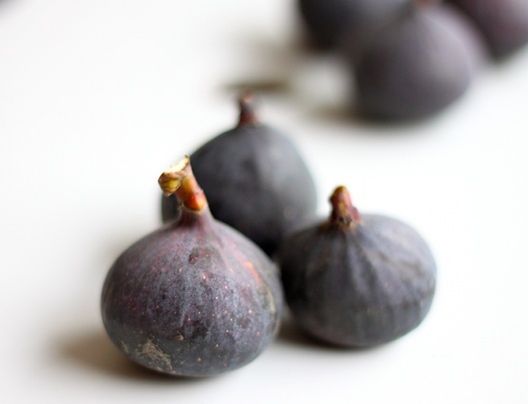 I couldn’t say no to these beautiful figs – even if they do come all the way from South Africa. I’m not usually a big fan of buying foods with lots of air-miles… but they are from my homeland and it would therefore only be rude not to buy them! 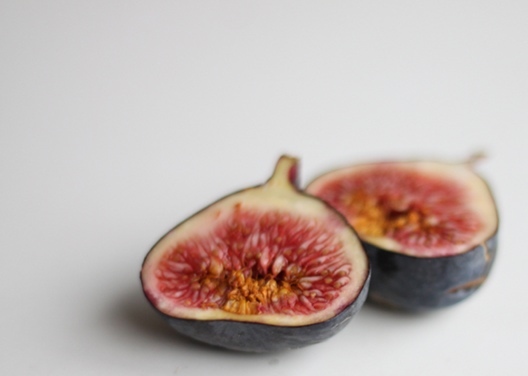 I was never a big fan of figs when I was younger. 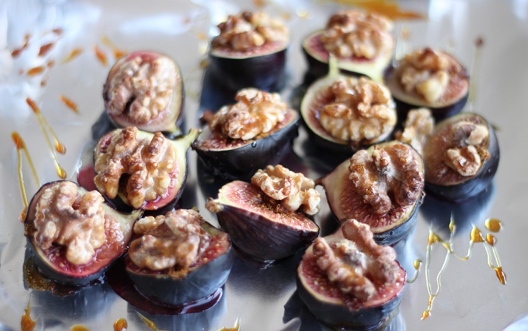 They often found their way into the kitchen in dried form – and therefore fresh figs where always a little bit of a mystery! There was also the story of my dad’s childhood experience. 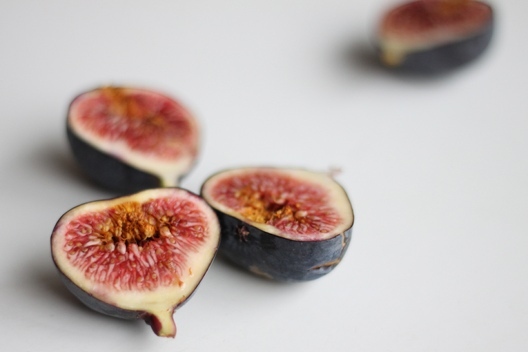 Having just picked figs off the tree in his back garden – He took a healthy bite into one fresh off the tree only to look down and discover that the inside was crawling with ants… some may argue he was getting a healthy dose of protein with those carbs, but that’s enough to put someone off figs for life! I always cut open and check my figs before eating! Who could possibly resist the bold pink tones of the flesh of these sweet juicy nuggets of fruity pleasure? …with a drizzle of honey. This recipe could not be more simple, or more delicious. 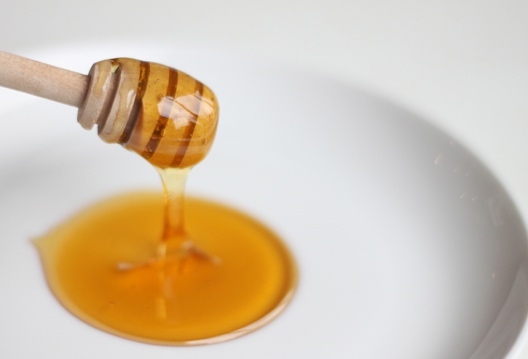 Drizzle with Honey – don’t over do it. 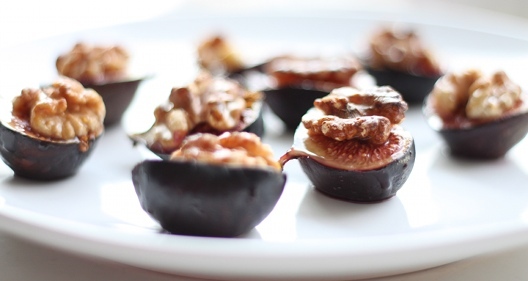 You want the honey to bring out the sweetness of the figs, not over-power it! Place the sheet in the centre of the oven and let them roast for about 15 mins – be sure to check them around 10 mins as all ovens tend to be different. They may need up to 20-25mins. Once done, transfer onto a serving dish (or plate up each individual serving – oooo how posh!) and devour whilst warm! Feel free to add a dollop of whipped cream/coconut cream, mascapone or vanilla ice cream next to these bad boys for a truly decadent dessert.